Evan Smoak is a man with skills, resources, and a personal mission to help those with nowhere else to turn. He's also a man with a dangerous past. Chosen as a child, he was raised and trained as part of the off-the-books black box Orphan program, designed to create the perfect deniable intelligence assets --- i.e. assassins. He was Orphan X. Evan broke with the program, using everything he learned to disappear. Now, however, someone is on his tail. Someone with similar skills and training. Someone who knows Orphan X. Someone who is getting closer and closer. 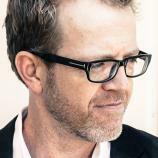 And will exploit Evan's weakness--- his work as the Nowhere Man --- to find him and eliminate him. 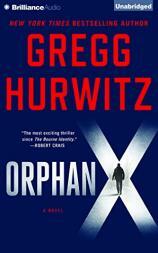 Grabbing the reader from the very first page, ORPHAN X is a masterful thriller, the first in Gregg Hurwitz's electrifying new series featuring Evan Smoak.